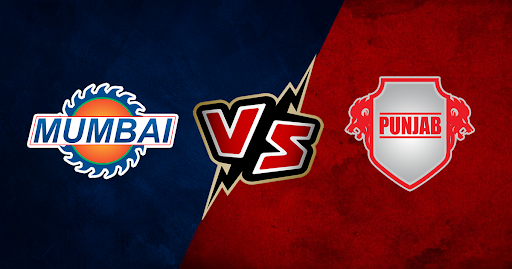 Home » Mumbai vs Punjab: Match Predictions, Playing XI, Probable Line-ups and Match Details. Although Mumbai played exceptionally well against Hyderabad in their previous encounter where Joseph Alazzari took 6 for 12 runs which marked the best bowling performance so far in the season, Mumbai is still facing lack of strength in the batting order. Quintin de Kock failed to make an impression so far. Their top batting order failed to make it to the top-20 run-scorers’ list in 2019. However, they are bolstered with fast pacers Jasprit Bumrah, Hardik and Joseph Alazzari that has kept the thrill alive at Wankhede. Mumbai is currently on fifth positions having to clinch three wins from five games. With the season reached its middle stage, Mumbai will look to pace forward to change the game and to handle the intensity of the competition, they have to work towards their top batting line-up. Probable Line-ups: Rohit Sharma, Quinton de Kock, Suryakumar Yadav, Ishan Kishan, Krunal Pandya, Hardik Pandya, Kieron Pollard, Rahul Chahar, Jason Behrendoff, Joseph Alazzari, Jasprit Bumrah. While Punjab may have had a slow start to the season, they have been defeatless in their last three matches. Likewise Mumbai, they have been struggling to keep up with the batting performance and it has been falling both in Chennai and Mohali. With Wankhede Stadium their next arena, it is likely that Punjab will opt for their strong bowling line-up having the likes of Ashwin having to take 7 wickets in five out of six games supported by Sam Curran, Mohammed Shami, and Murugan Ashwin. While KL Rahul and Mayank Agarwal will lead Punjab to set some challenging target. Probable Line-ups: Chris Gayle, KL Rahul, Mayan Agrawal, David Miller, Sam Curran, R Ashwin, Murugan Ashwin, Andrew Tye, Mohammed Shami, Ankit Rajpoot, Mandeep Singh. Both teams are on the same level and we can expect some strong bowling action and some crucial wickets making a room back to the dressing room. Looking at the form, Mumbai stands a strong chance to set a victory in this fixture.